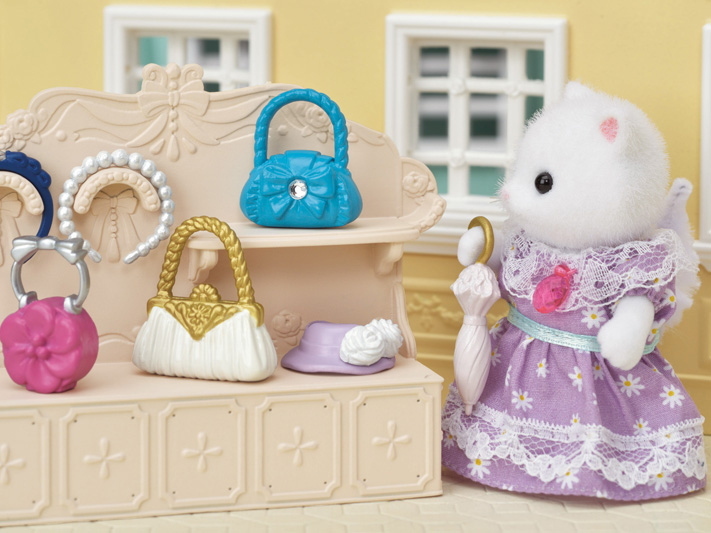 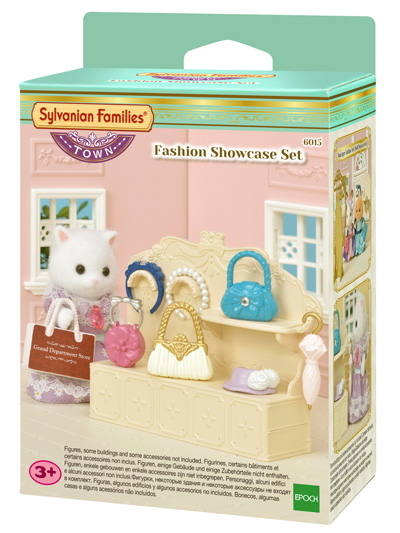 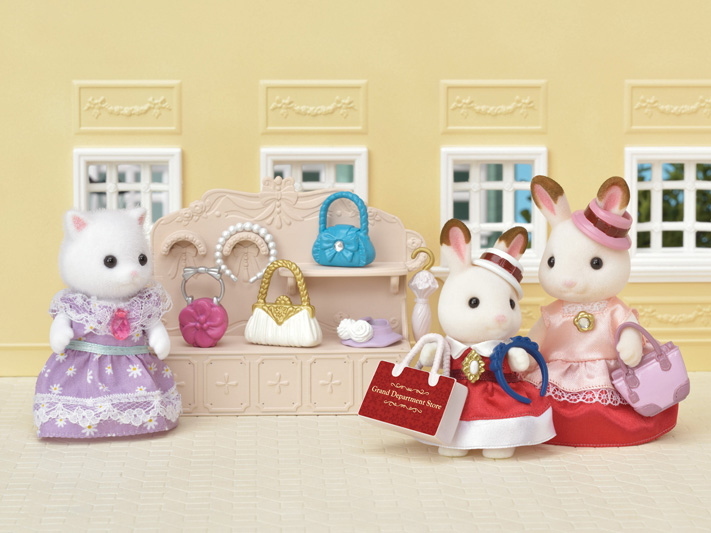 The Fashion Showcase Set comes with lovely accessories such as handbags, hat, and parasol, along with a shelf for displaying them. 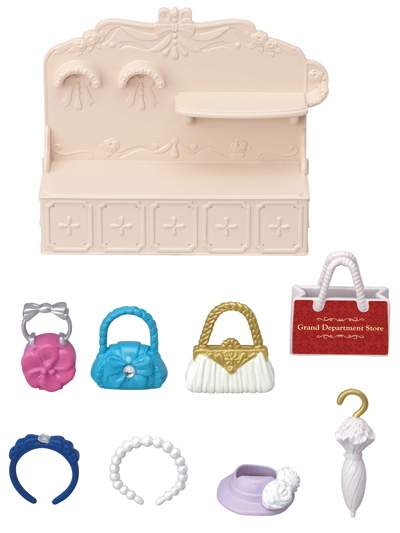 It's a perfect set to put inside the Grand Department Store (sold separately). 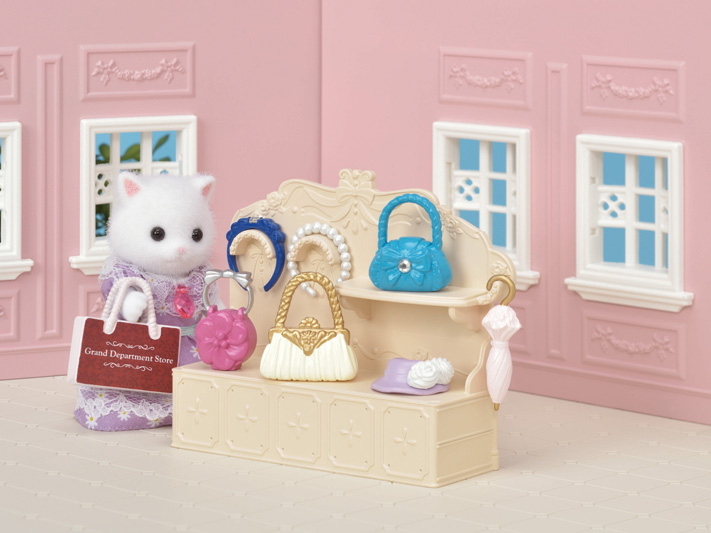 Combine with the Grand Department Store, Boutique Fashion Set, Cosmetic Beauty Set, and Chocolate Lounge for more fun (all sold separately).